LightSquared is literally pumping up the volume in its efforts to win support for its proposed broadband network adding a host of new lobbyists and a radio campaign to its existing stable of advocates and print advertising efforts. The firm is seeking permission from the Federal Communications Commission (FCC) to start construction on a network of some 40,000 high-powered broadcast towers, the backbone of a new, nation-wide wireless 4G network. Tests of the proposed signal have shown clearly that the system, as originally configured, will seriously interfere with the operation of the vast majority of GPS receivers. New FCC-mandated tests are now underway on a modified LightSquared proposal, but the company is not waiting for the results. LightSquared has stepped up the advertising campaign it launched over the summer, adding radio ads on Washington’s very popular all-talk station WTOP to a plethora of print ads. The latter, launched this summer in the Wall Street Journal, the Washington Post and other D.C. publications include full page spreads in Politico, The Hill and National Journal Daily – which are widely read by members of Congress and their staff. The advertisements are pushing the firm’s assertions that they have a solution to the interference issue and the GPS community was remiss in the design of its receivers — points with which members of the GPS community disagree strongly. Other LightSquared ads dangle the prospects of new jobs and better service for congressional constituents. 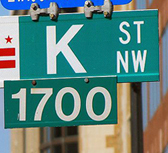 To drive its points home more directly the firm has spent over $1.5 million so far this year on lobbying with nearly half of that coming in the third quarter alone, according to lobbying disclosure forms. The money reflects the difficult sales job LightSquared has ahead of it. The company’s proposal has been the subject of some half dozen Congressional hearings and a number of letters from both House and Senate members asking the FCC to put a hold on the project. Most of the representatives that LightSquared has hired are focused on swaying the House and Senate and include a number of former Congressmen such as Richard Gephardt, who led House Democrats from 1989 to 2003 and Republican Dennis Hastert, who was Speaker of the House from 1999 to 2007. Some of the firms LightSquared has hired, however, are reaching out to various federal agencies. Bob Walker, a key former congressman on technical issues and a principal in Wexler & Walker Public Policy Associates, is helping LightSquared make its case to the White House, the Federal Aviation Administration, National Aeronautics & Space Administration and the Departments of Defense, Commerce and Justice. Other firms are approaching the Departments of Homeland Security and Transportation including the National Transportation Safety Board. Just this October LightSquared added to its cadre of advocates, hiring the firms Shockey Scofield Solutions, LLC and Gibson, Dunn & Crutcher. Representing the firm from Gibson, Dunn & Crutcher is Michael Bopp, former Associate director at the office of management and budget – the White House’s budget arm and a key agency used by the administration to organize and implement its policies. Jeff Shockey of Shockey Scofield Solutions served as staff director for the House Appropriations Committee — the same committee where his now-partner John Scofield was the communications director. Meanwhile, the Washington Post reported today (October 31, 2011) on expenditures of several leading GNSS companies in their effort to defeat the LightSquared plan. According to the Post, Trimble has spent $840,000 on lobbying fees related to LightSquared this year, while Garmin has spent $70,000 and John Deere, $964,000. Most of Trimble’s lobbying on spectrum interference handled by Akin Gump Strauss Hauer & Feld, to whom Trimble has paid $620,000 this year, according to the newspaper. An October 20 Bloomberg news report said that Trimble had hired two former U.S. representatives, Vic Fazio, a California Democrat and associate at Akin Gump, and Bill Paxon, a New York Republican, as lobbyists. Interestingly the Senate has largely stayed out the brawl. The Democratic-controlled body may not want to open up discussion on the messy issue, which has become something of a brawl between the Republican-controlled House and the Obama administration. The White House has been very supportive of broadband in general and, so far, LightSquared in particular.